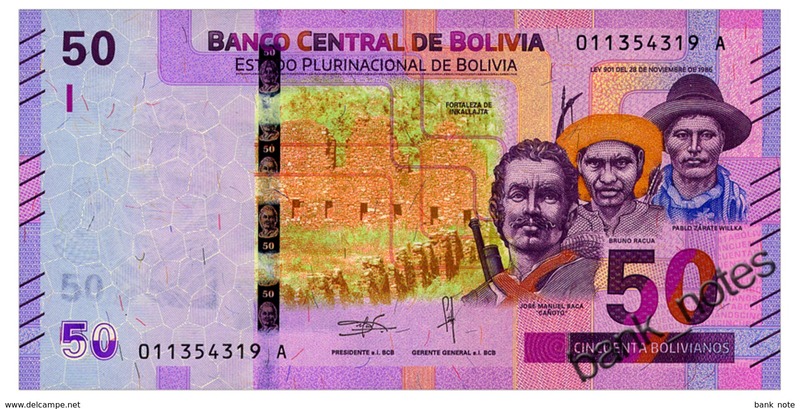 Bolivia 2018. 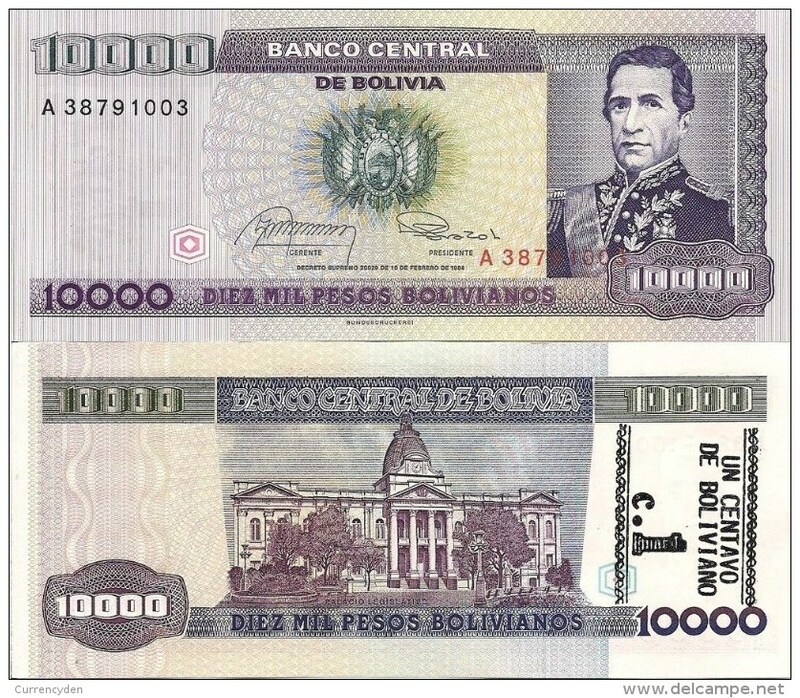 10 bolivianos. UNC. 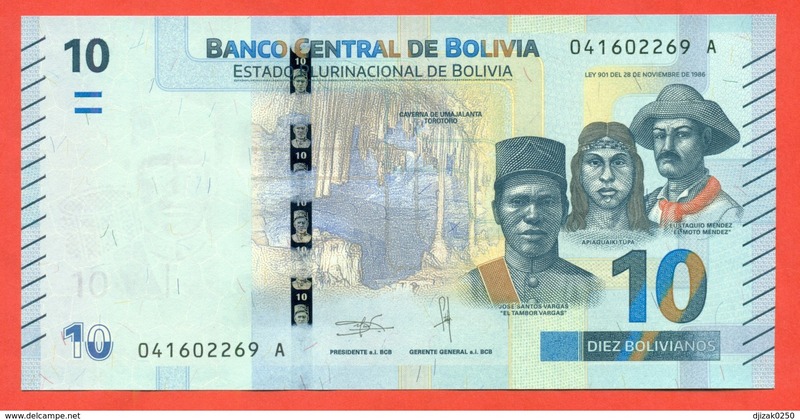 Bolivia 50 Bs. 1928, SERIES U, W&S. Some stains but crisp VF . 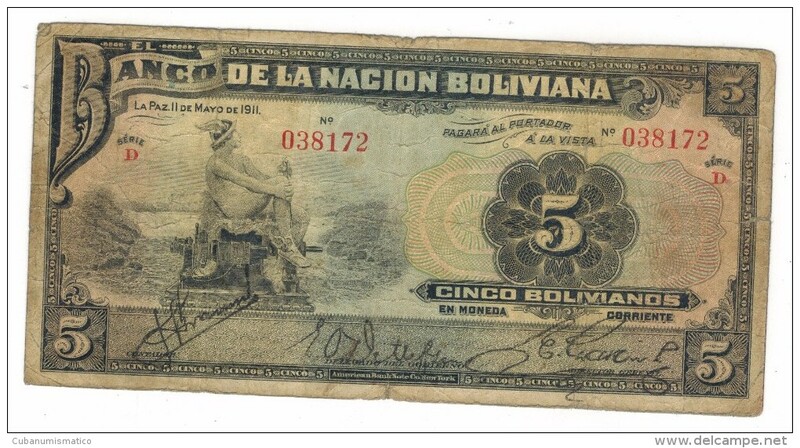 Bolivia 50 bolivianos, 1928, F, series P, FREE SHIP. 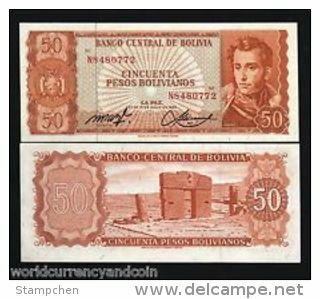 to U.S.A.
Bolivia 50 bolivianos, 1928, VG, series C1, FREE SHIP. 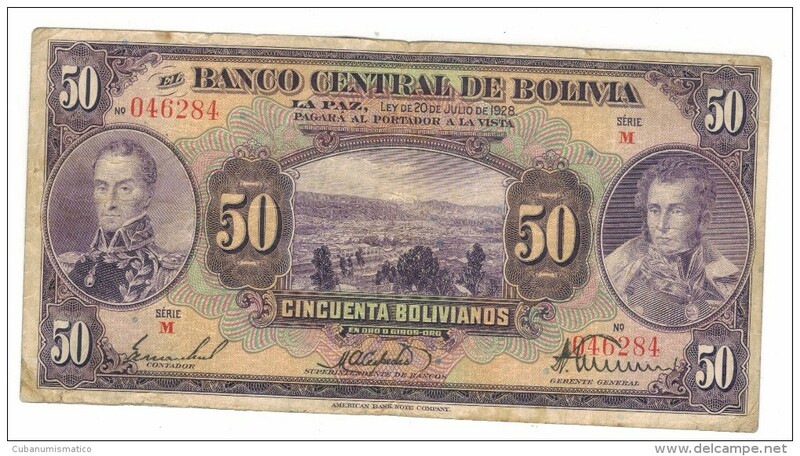 to U.S.A.
Bolivia 50 bolivianos, 1928, VG, series Q, FREE SHIP. 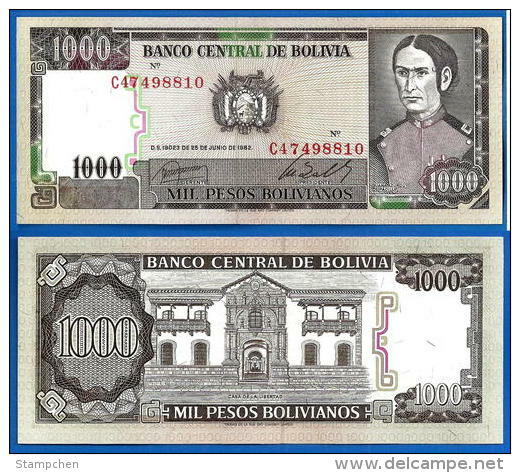 to U.S.A.
Bolivia 10000 Bs. 1945, VF. Free ship. to USA. 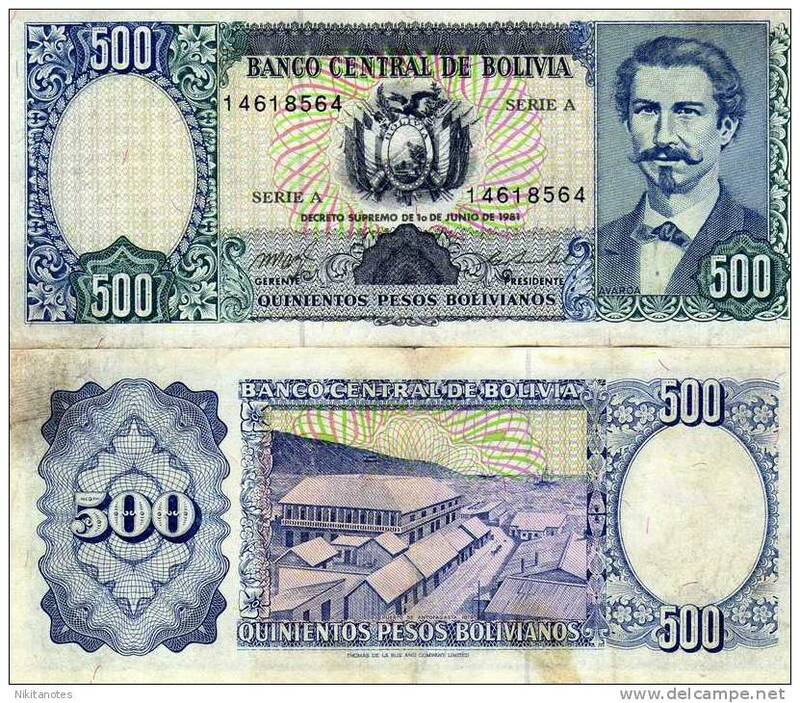 Bolivia 5000 Bs. 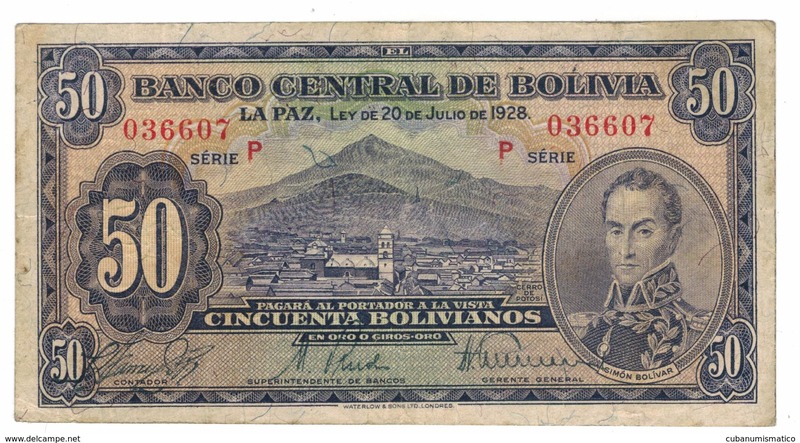 1945, VF. Free ship. to USA. 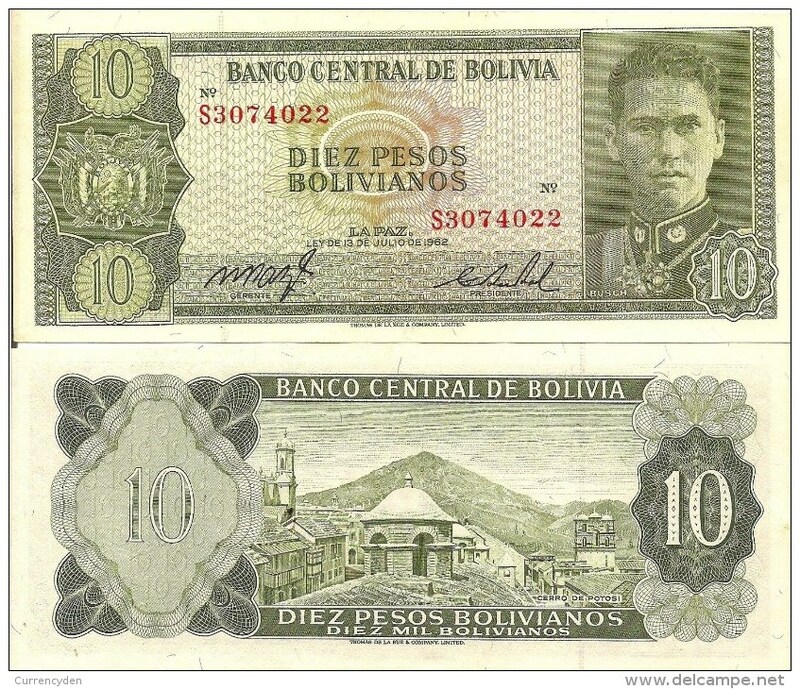 Bolivia 10 Bs. 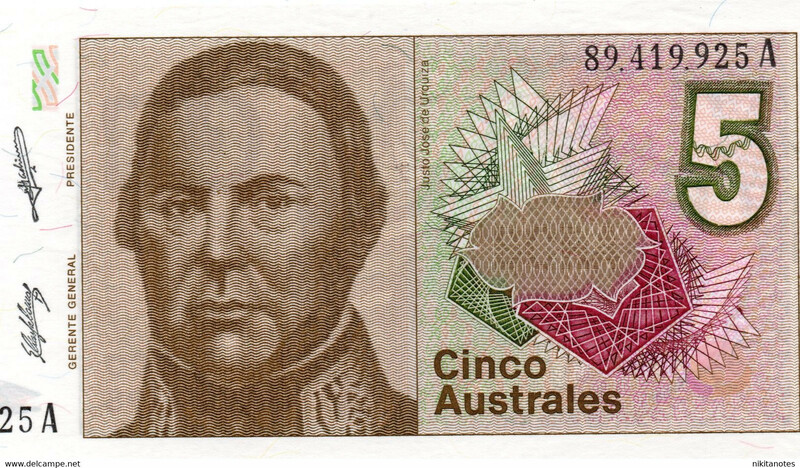 1911, overprint, VF. Rare. Free ship. to USA. 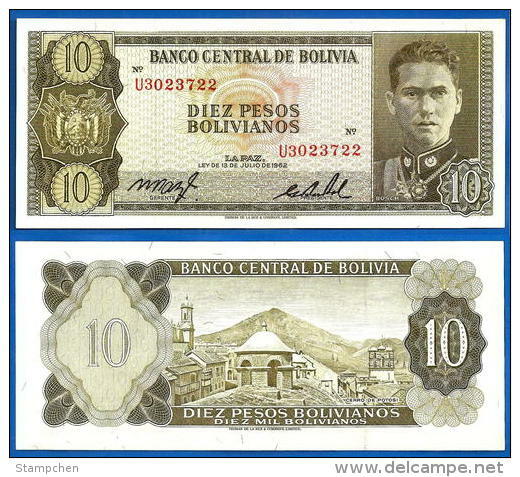 Bolivia 10 Bs. 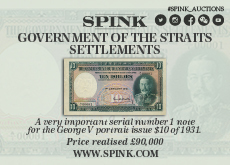 1911 (resello) series F, see scan, used but good grade, Free ship. to USA. 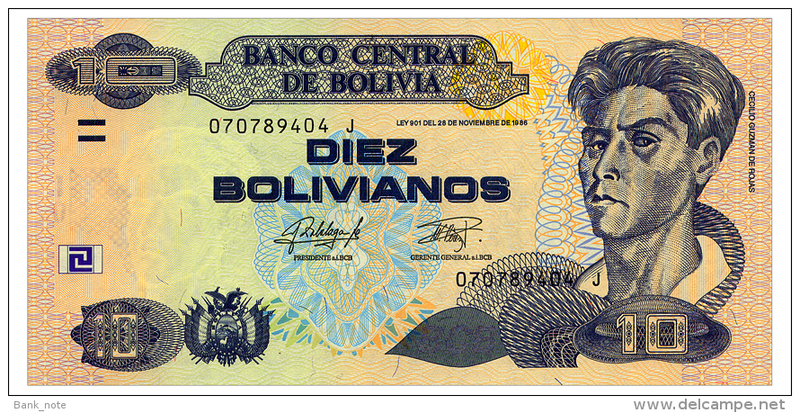 Bolivia, 5 Bs, Ley 1986, XF, Free ship. to USA. 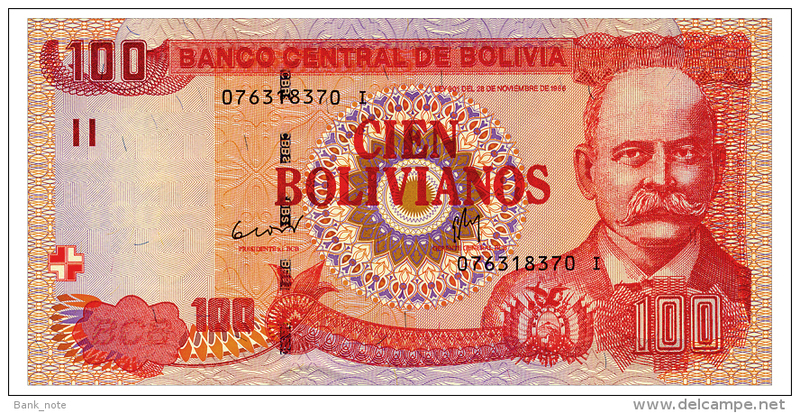 Bolivia, 20 Bs, 1911, Overprint, used, see scan, Free ship. to USA. 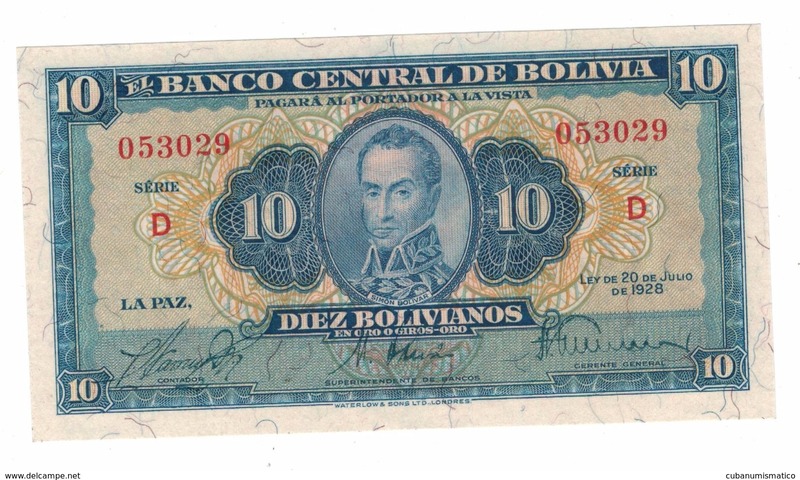 Bolivia, 10 Bs, 1911, Overprint, used, see scan, Free ship. to USA. 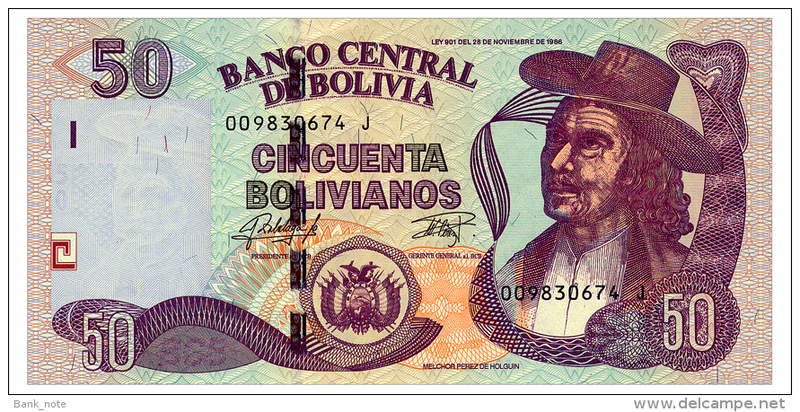 Bolivia, 5 Bs, 1911, Overprint, used, see scan, Free ship. to USA. 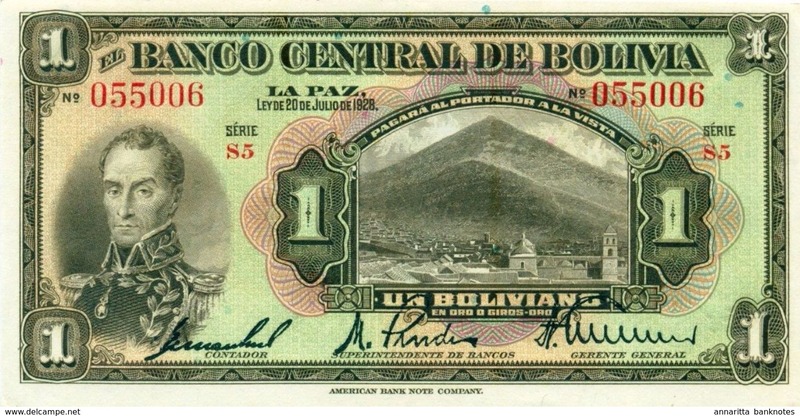 Bolivia, 10 Bs, 1911, VF, Free ship. to USA. 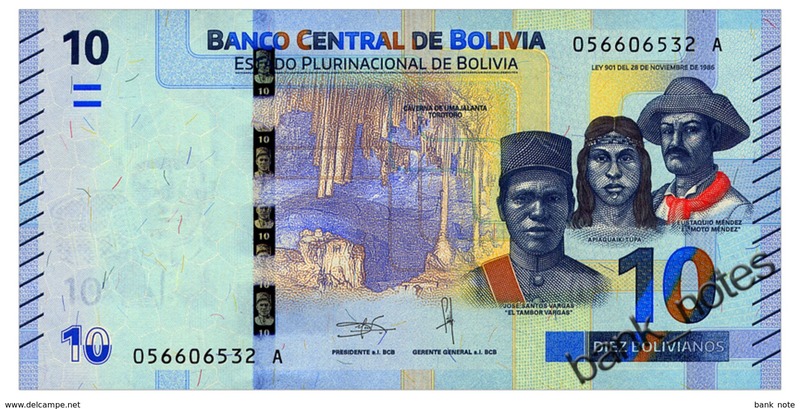 Bolivia 5 Bs. 1911, used, see scan, D series , Free ship. to USA. 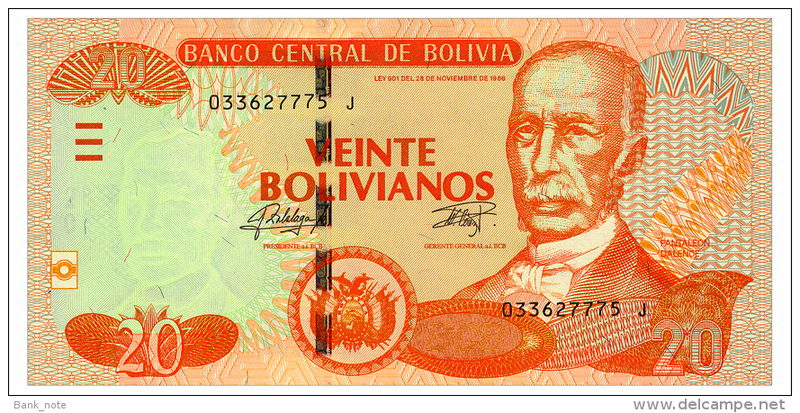 Bolivia 20 Bs. 1928, XF, Free ship. to USA. 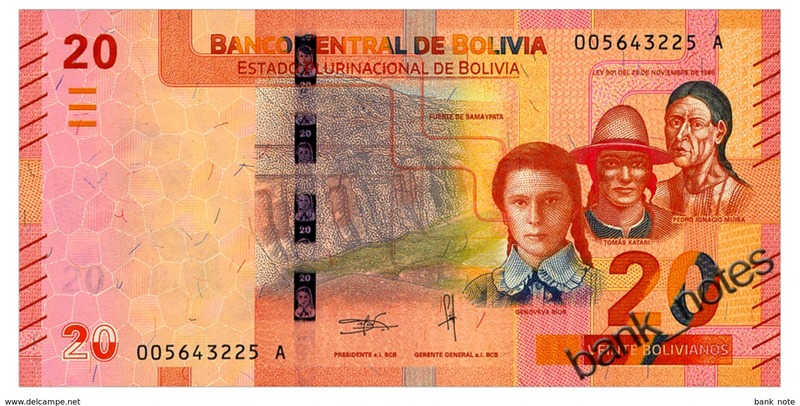 Bolivia 20 Bs. 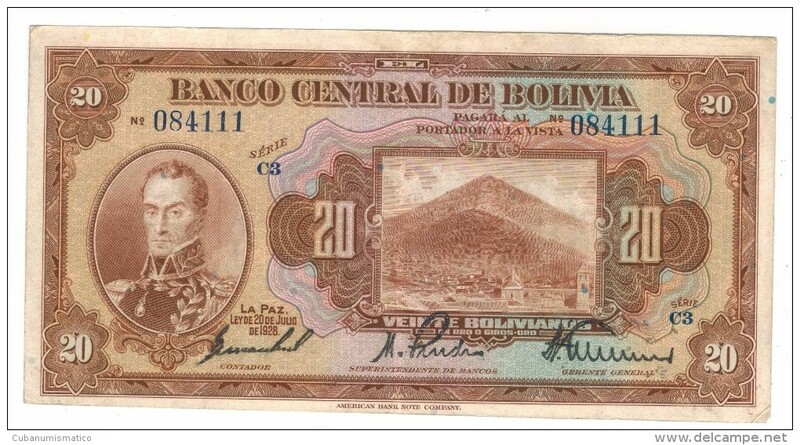 1928, VF+, Free ship. to USA. 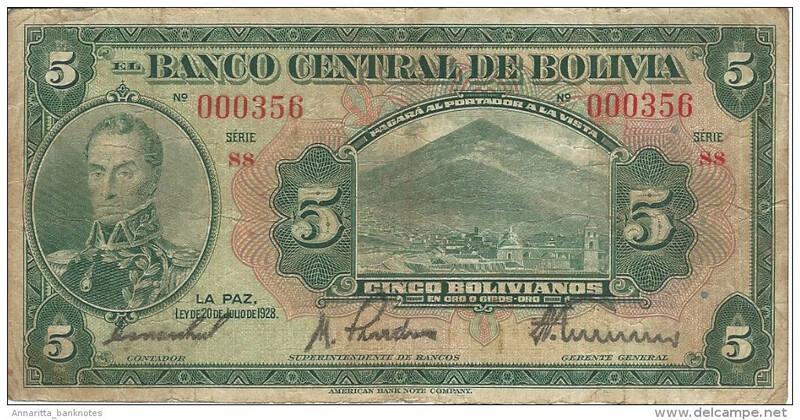 Bolivia 50 bolivianos, 1928, G/VG, FREE SHIP. 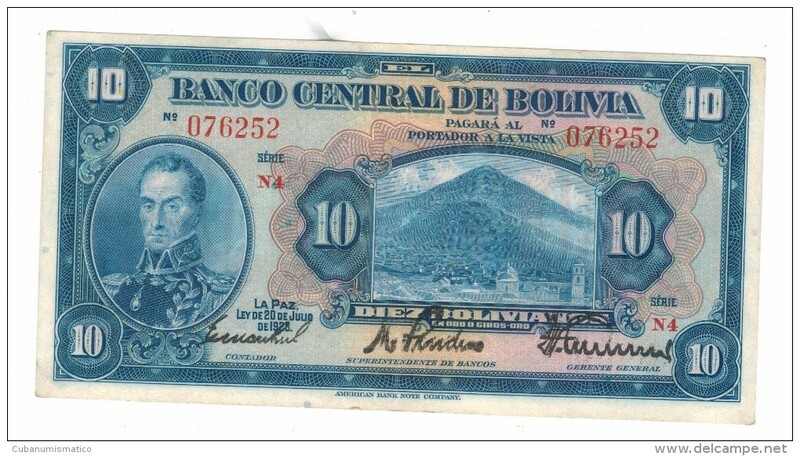 to U.S.A.
Bolivia 10 bolivianos, 1928, xf , FREE SHIP. 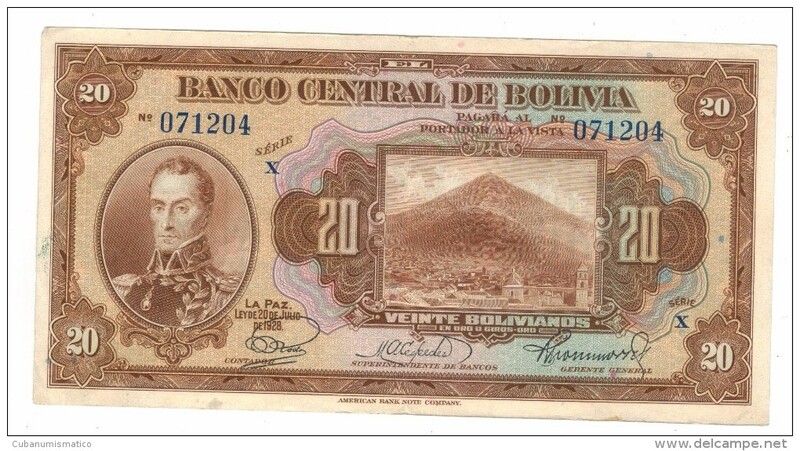 to U.S.A.
Bolivia 20 bolivianos, 1928, XF, FREE SHIP. 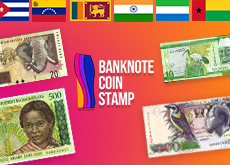 to U.S.A. 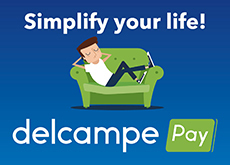 There are 1321 items which correspond to your search on Delcampe International.